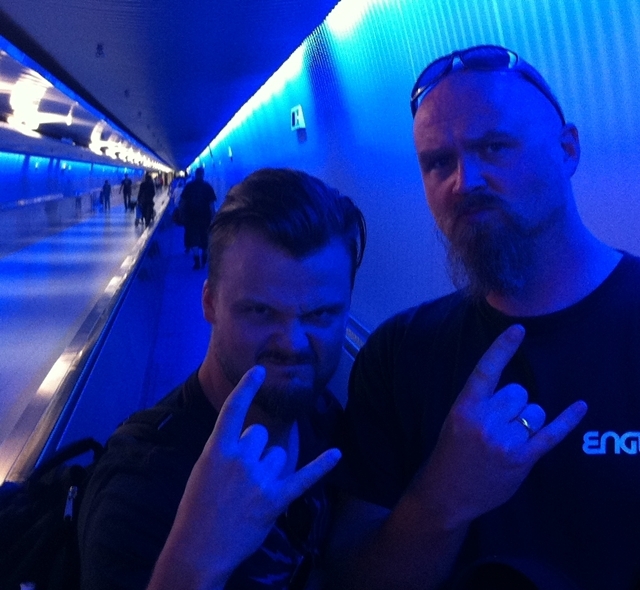 In March 2014 we launched the first Borknagar tour in 15 years and played 9 concerts in Europa. 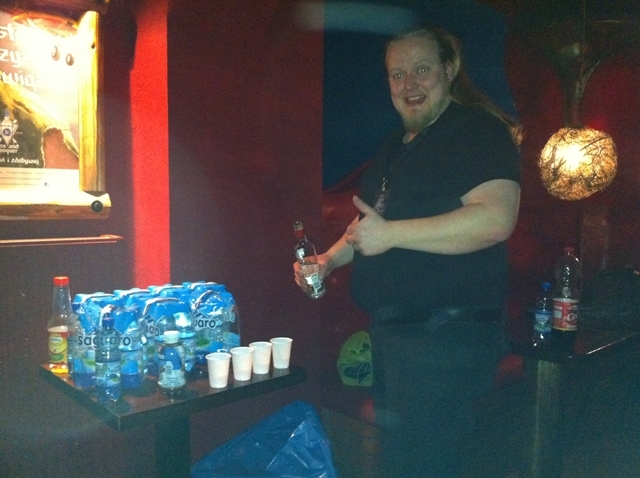 We had great fun, met a lot of people, made some new friends, met some old friends and played some music! We also took a lot of pictures and while our ambition was to share these as we travelled we soon found out that wi-fi wasn’t standard service all over. 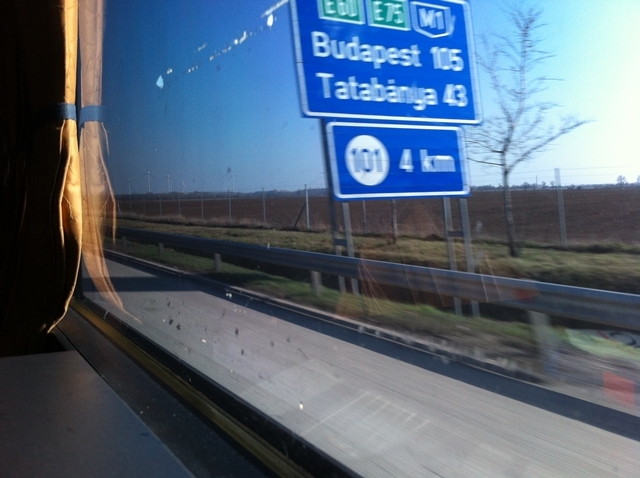 We want to share some photos with you now, this is the first part. Hope you enjoy. 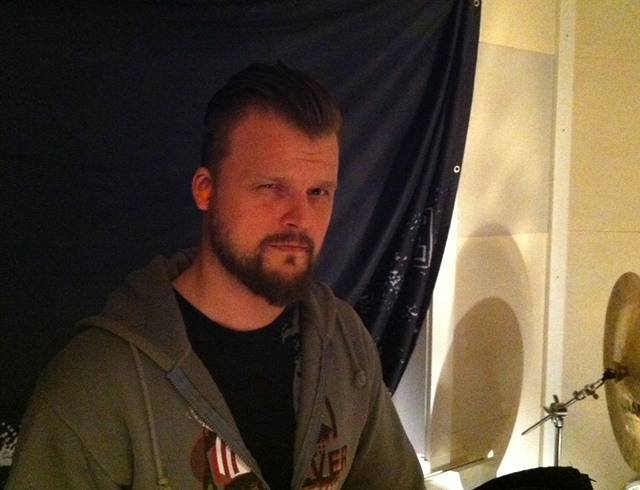 PS; If you have any photos you want to share with us, send us a message at the Borknagar Facebook page. 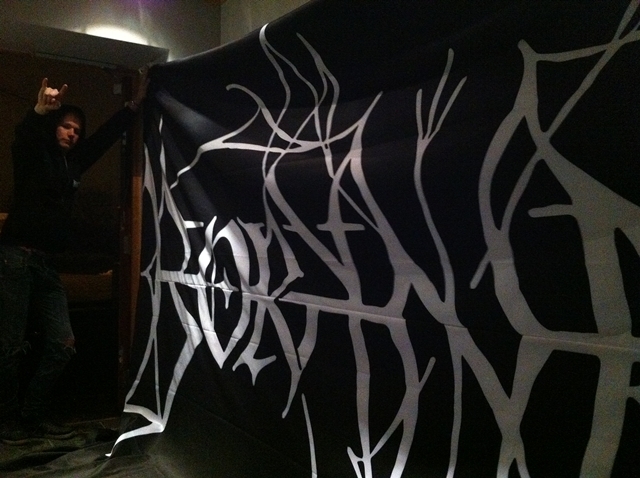 Baard checking out the new backdrop we made before the tour. 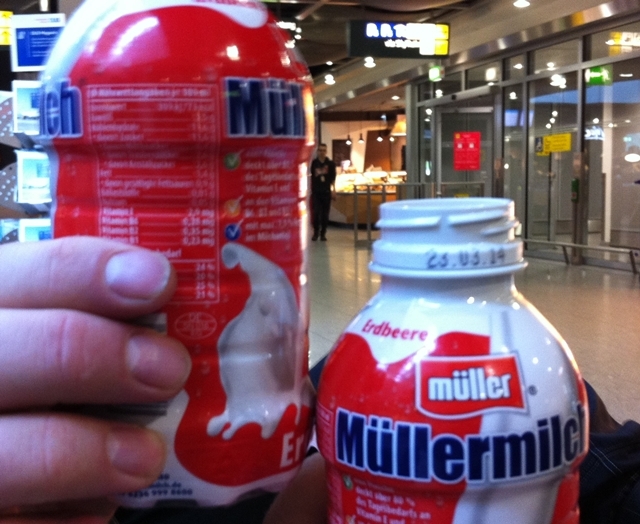 Enjoying some refreshments at the airport in Düsseldorf. Or was it Frankfurt? Meh, who cares! 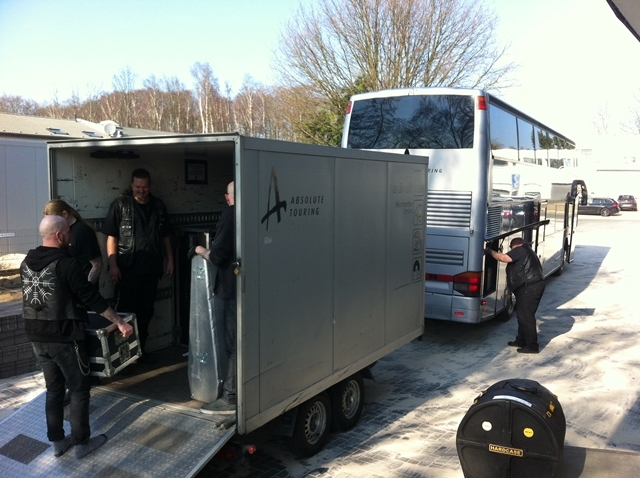 The tourbus from Absolute Touring picked us up at the airport and we headed over to pick up some gear. Our eminent busdriver Frank checking the engine while Kristofer, Vortex and Rob handles the gear. 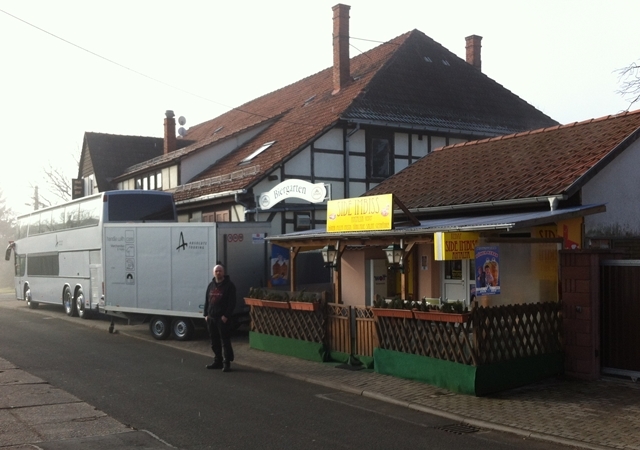 Bus parked outside the first venue in Erfurt, Øystein keeping an eye on things. 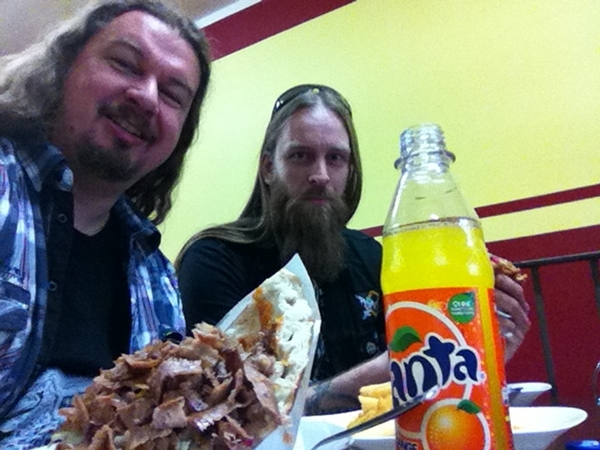 Hungover in Berlin, Jonas and I enjoyed some awesome döner kebabs. 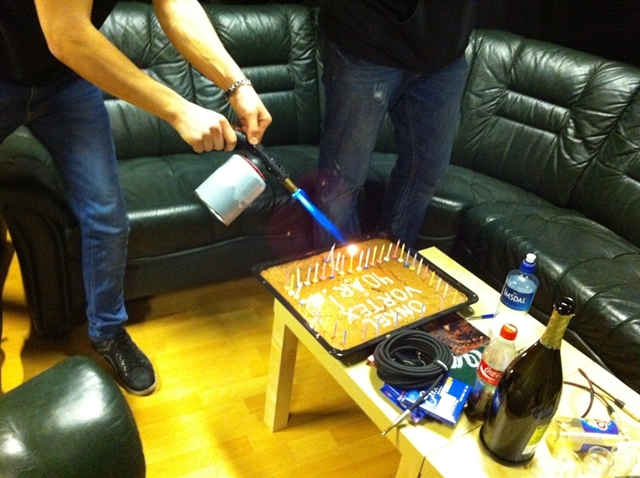 At the soundcheck in Berlin I realized that my pedal had stopped working and I had to find a new one. 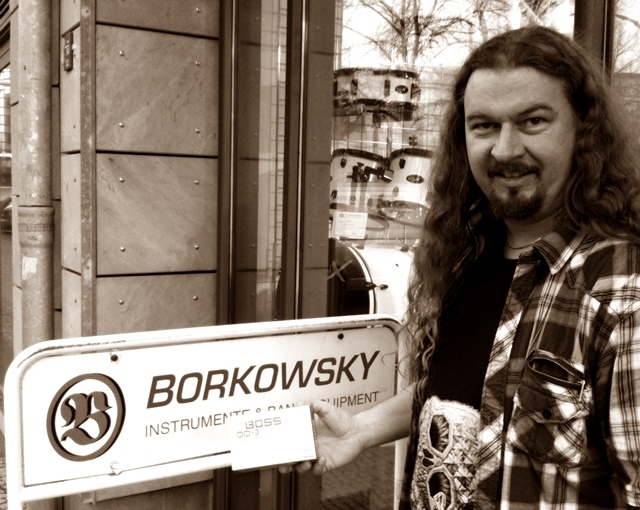 Where else to go than Borkowsky!